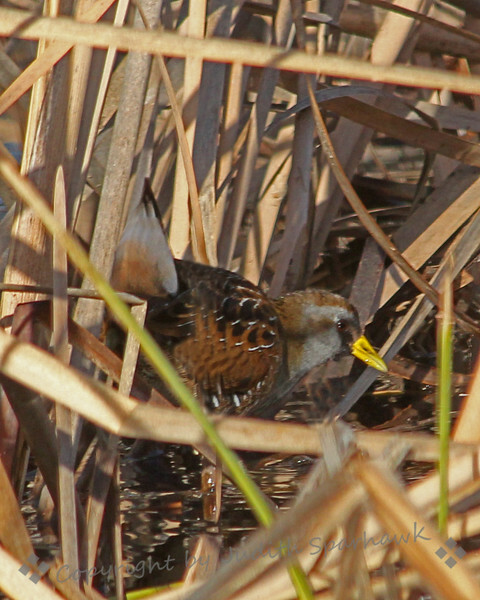 Sora in the Rushes ~ This little rail is a secretive and shy "stealth" bird, fairly common in wetlands and marshes, but often hard to see. Notice its cute tipped-up tail. This was cropped a lot, so isn't as sharp as I would like, but I was thrilled to get any pictures at all. San Jacinto Wildlife Area, California.